All services take place in an outpatient setting and include medical care, nursing care, pharmacist evaluation, physical therapy, occupational therapy, speech therapy, social work, neuropsychological evaluation, and chaplaincy services. Our mission is to provide outpatient physical rehabilitation services to individuals who otherwise lack access to such services. The majority of our patients are uninsured. 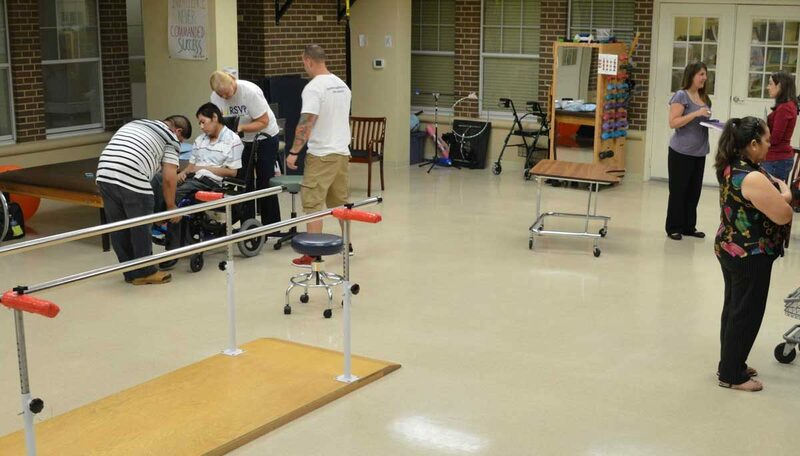 Because of our limited resources and clinical specialization, we can currently only provide services to individuals who have sustained a spinal cord injury, limb amputation, traumatic brain injury, stroke, or other acquired brain injury. Although our clinic is primarily for adults, we can see children ages 13 or higher. Our clinics take place on the first and third Saturdays of each month from 8:30 AM-12:30 PM by appointment only. Please note that services are provided by appointment only.